MOSCOW, October 8. /TASS/. 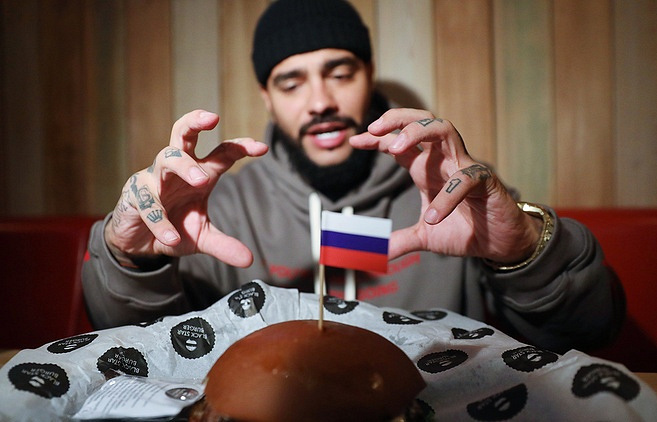 A Moscow fast food chain, owned by Russian hip hop star Timati, started serving "presidential burgers" made from Vladimir Putin’s favorite ingredients as the Russian leader marked his birthday on Saturday. In order to prepare the burger, the chain’s chefs studied open-access sources about the president’s daily menu. "In order to find this out, you just need to search ‘what does Putin eat’ online. I would like to note that he has a balanced diet with lots of vegetable food. Our burger has the best of what the Russian president likes," Timati told TASS. The recipe of the burger was a closely guarded secret that was finally revealed on the president’s birthday. According to a TASS correspondent, the presidential treat includes two beef burgers, smoked turkey, blackcurrant jam, cheddar, brined suluguni cheese and vegetables, as well as horseradish and garlic sauce. All ingredients are domestically produced. "We have tomatoes from Krasnodar [in south Russia], cheese from Tula [in Central Russia], which is every bit as good as European. Even minor ingredients, like garlic, horseradish or berries for the jam, have been delivered from various places of our country," the cafe’s owner said. Everyone who came to try the "presidential" burger also received a T-shirt with Putin’s portrait. Despite cold weather and drizzle, visitors have been queuing outside the building on central Moscow’s Tsvetnoy Bulvar since Saturday morning. 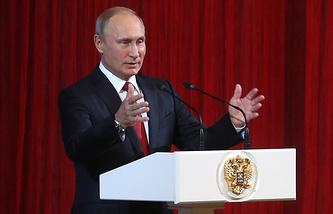 Vladimir Putin turned 65 on October 7. This is not the only attempt to congratulate the Russian president on his birthday through culinary achievements. A pizzeria in Washington has prepared a special pizza under the name ‘Hot Like Putin.’ Along with traditional ingredients, it includes pickled cucumbers, a common ingredient for pizza in Russia.